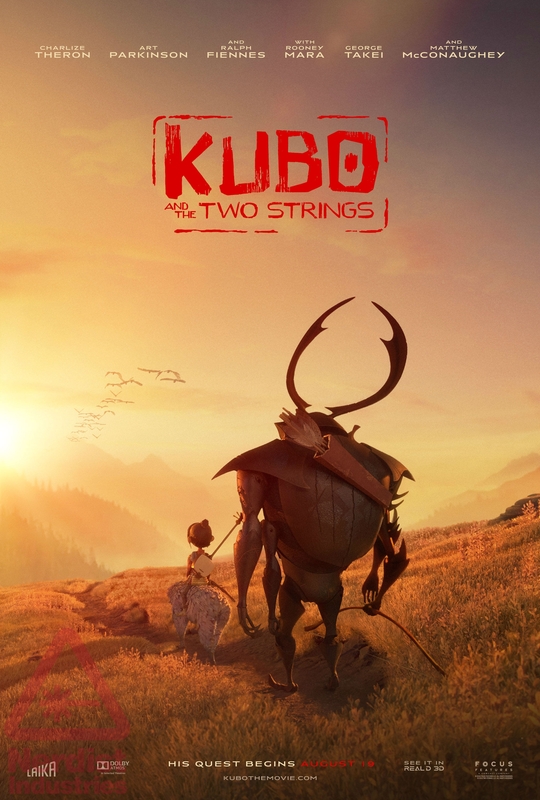 Kubo and the Two Strings is the second movie by stop-motion animation heavy-hitter Laika, the first being Coraline 2009. This movie is another win for the young animation studio. It tells an original tale of an imagined Japanese mythic fantasy, with somber almost horror-like elements intermixed with a plucky youth in the protagonist, Kubo. Kubo’s mother ran away from Kubo’s grandfather, the moon, who hunts for Kubo each night and wishes to take his eye(he already took one). Kubo’s mother slips into and out of reality each day because of an injury incurred during her flight from Kubo’s grandfather and as a result, Kubo takes care of her. Kubo entertains crowds to earn money during the day with the same guitar-driven musical magic his mother possesses. His guitar playing brings small origami figures to life that accompanies his dynamic storytelling to great effect. By sundown each day he has to return home so that his grandfather will not find him. Of course, he makes a mistake and his grandfather discovers his location. 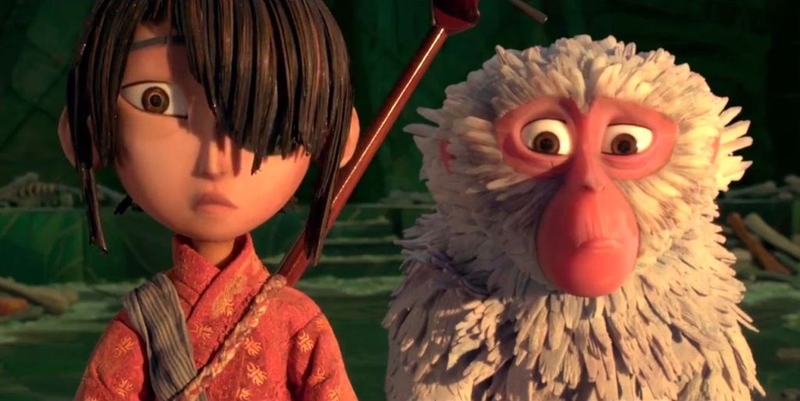 His Mom makes one final bid to protect him, bringing a monkey(Charlize Theron), from his origami stage show to life as his protector. 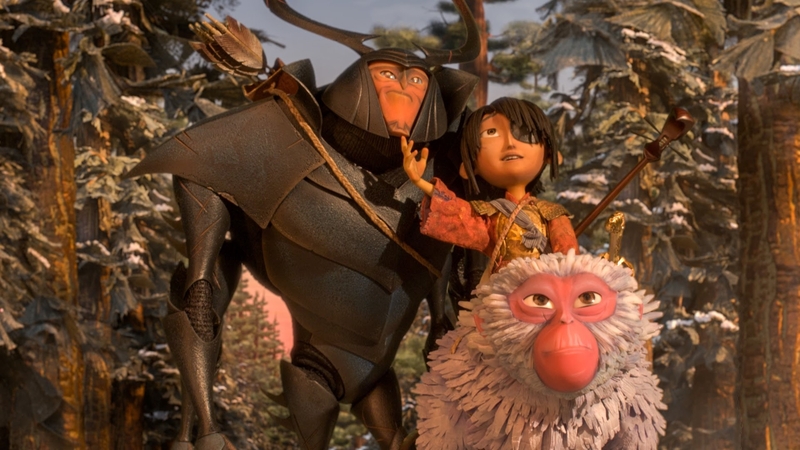 With the monkey, Kubo quests for his father’s armor that will protect him from his grandfather. He is joined in his quest by a beetle samurai warrior (Matthew McConaughey) that was also a miniature cast member in his origami show. There is some mystery about his origin, but I won’t spoil it. This movie is dark and wonderful, yet, it still possesses enough humor and charm to delight old and young alike. It reminds me of my studies of Greek and Roman mythology. To be god-like was to lose what it means to be human. There are some direct connections to that idea as this story unfolds. This is a must-see for 2016, easily making it’s way into my top ten. This was a delightful surprise when I had no expectations.